Stunning mountain scenery and stunning birds. See displaying Western Parotia, Magnificent BoP, plus Black Sicklebill, Long-tailed Paradigalla, Arfak Astrapia and much, much more. Magnificent Bird-or-Paradise; Black Sicklebill; Long-tailed Paradigalla; Arfak Astrapia; Arfak Bowerbird; Lesser Bird-of-Paradise; Superb Bird-of-Paradise; New Guinea Eagle; Feline Owlet-Nightjar; Mountain Owlet-Nightjar; Spotted Jewel-Babbler; Chestnut-backed Jewel-Babbler Spotted Catbird; Flame Bowerbird; Magnificent Riflebird; Buff-tailed Sicklebill. 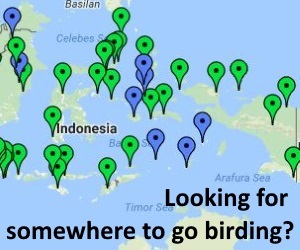 The best known birding is around the village of Sioubri, and in the company of one of Indonesia’s best local bird guides Zeth Wonggor. 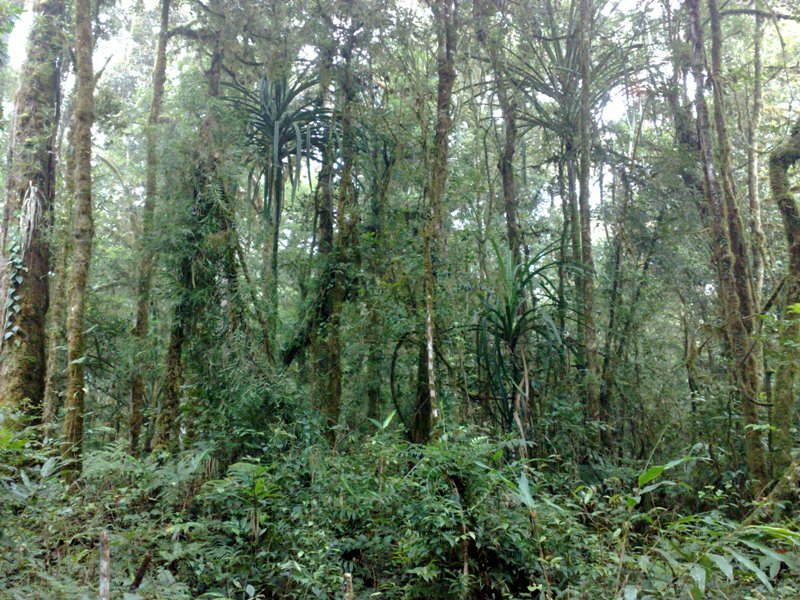 There are great birding sites above and below the village, and the road from Manokwari to reach Sioubri also passes through good forest habitat. To see the range of species present around Sioubri takes a few days and some careful consideration of where to place yourself each day. The best bet is to discuss the options with Zeth when you arrive and plan your time accordingly. Most of the key species occupy distinct altitudes and so for example a trip up high is necessary to see Black Sicklebill, Arfak Astrapia and several of the parrot and robin species. A trip down towards Ciraubri is necessary for Flame Bowerbird and Magnificent Riflebird. Other species can be seen nearer to Sioubri, either above or below the village. Zeth has constructed hides close to the display grounds of several species including Western Parotia, Magnificent BoP, Arfak Bowerbird and so you also need to decide which hide you want to place yourself in each morning to stand the best chance of seeing the birds in action. The nearest airport is in Manokwari. From there it is a 2-3 hour drive up to Sioubri (longer if you stop for birds!). Cars can be chartered in Manokwari and you should also arrange a day and time for the car to come and collect you at the end as there is no way to arrange a ride back once in Sioubri. The village runs a simple guest house that you can stay in, and there is another simple hut higher up the mountain that you can spend a night or two in to access higher altitudes more easily. You should bring all the food you need, plus more for the local guides and porters, from Manokwari. You can probably buy a few fresh vegetables locally to supplement what you bring. Through Zeth you can arrange porters and cooks to support you during your stay. The weather is very pleasant during the day and cold at night, so a sleeping bag is necessary. The main season for displaying birds-of-paradise runs from March-September and so this is the best time to visit. It is worth trying to get a message ahead that you plan to come, to make sure you can get Zeth’s time. 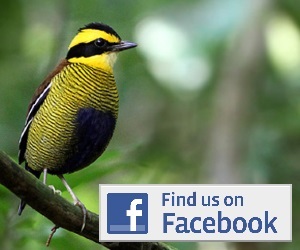 He cannot be contacted directly but a message can be passed to him from his brother, Asser Wonggor, or via Papua Bird Club in Manokwari.